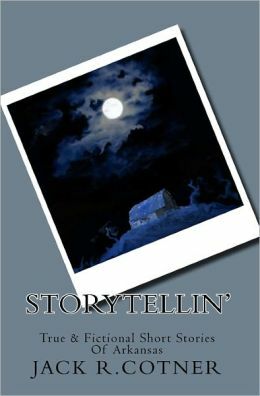 In “Storytellin’: True And Fictional Short Stories Of Arkansas” I write about a young boy, a midnight train, and the value of friendship in the tale “He A Friend Of Yours?” The title of the story is actually a question posed to the young boy by a train station employee. Several of my family provided inspiration for the story not the least of which were my grandfather, father, and an uncle who all worked for the Rock Island Railroad in various capacities including railroad bull, brakeman, and conductor. All of their work began and ended with the Rock Island Rail Road train depot in the small town of Booneville, Arkansas. Not coincidentally, the fictional story’s beginning is set in and around a train depot. In its heyday, the Booneville depot was a busy, thriving place, bustling with activity. I remember trips to the depot to either welcome or say goodbye to family members as they left for work or arrived after a working absence. More than once, I too, rode the railroad to and from Little Rock to visit uncles and aunts. This picture of the Booneville train depot was taken in the early 1980s and reflects a mere ghost of itself in comparison to the days when it thrived. Built in 1910 originally as a railroad eating house, the building style is unique compared to the average Rock Island train depot in Arkansas. The days of riding the rails from Booneville to Little Rock are gone forever now, as are my family members who worked on the line. Sadly, just a few years after this picture was taken the Booneville depot burned down and its stories mostly lost to history. This entry was posted in Arkansas, Arkansas stories and folktales, Ouachita Mountain stories, Short Stories, Uncategorized, Writing Inspiration and tagged History, Jack Ronald Cotner, photos, Rail Road Depots, Rock Island Rail Road. Bookmark the permalink. Great story! I’ve not heard of a railroad eating house before, and hadn’t realized railroads provided that sort of accommodations for those working on the lines. Intriguing! Thank you, Susan. The history of railroad eating houses goes back to 1875 and the Fred Harvey Company owner of the Harvey House chain of restaurants, hotels, and other hospitality industry businesses alongside railroads in the western United States. The Booneville Arkansas depot was one built by Harvey. Such a shame it was not maintained as an historical site and allowed to fall into disrepair and eventually burn. What fascinating history this is! I assumed most workers in the late 1800s and early 1900s carried lunch pails and buckets, and had never heard of railroad eating houses. I’m off to learn more about the Fred Harvey Company. Thanks for sharing! You are welcome! Thank you for posting, Susan. I love the title of your book and how great that you could draw on history that was actually experienced by your own family. How genuine is that. Thank you so much, miriam! Harvey gave generations of women a chance to escape poverty, poor life choices, bad men, worse conditions and stand on their own working outside the home. While possibly sexist in one sense, he was wise enough to know women would be reliable and effective employees. Their presence was a great to deterrence to the chaotic behavior of a station full of male employees, travelers and Terminal Roughs. “Single and between the ages of 18 and 30. They had to be of good moral character, well-mannered, attractive, and intelligent with at least an 8th grade education.” They came by the thousands to populate stations like yours. It is sad when the story of who we are, and how we got here goes up in smoke…Because stories tell us who we really are, and stories and their keepers are disappearing. Nice piece.Need to go find your book. Well said, Phil. Wonderful background information on Harvey and the opportunities he provided for the women. Thank you. Phil, I don’t see Harvey’s perspective as sexist at all. He gave women a choice–which is far more than many of them had in any other part of their lives. Bravo, I say! You sound like someone with an interest in railways and history! Susan, check out Phil Huston’s blog. I think you will enjoy it. Nothing says faraway places to park your dreams like a train whistle in the distance. 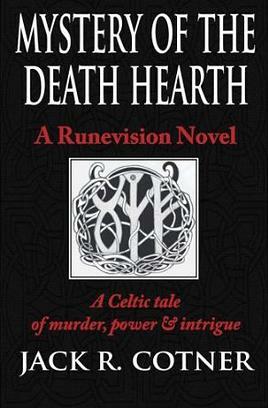 And if you like history, I wont advertise on Jack’s site with a link but a plug. Drop by sometime, and on the left or in greatest hits check out Dress Like Man. Harvey was a hero in many ways, but he marketed his version of 1880’s cheesecake the same way Hooters does today, only not quite so blatantly. I love stories about the old railways, both here in the UK and over there in the US. There’s something about the old-style railways and their associated buildings that gets the imagination going. And that’s before we think about the wonderful great steam engines. I rode on those regularly to get to school 3 miles away when I was a teenager. I love the fact that the Booneville depot is the one used in your book. You must have been thrilled to hear all the stories from family members who worked on that line. Glad to be able to see the Booneville photo here, Jack. How odd that images don’t show on Goodreads. Such an interesting post! Railway stories evoke a sense of nostalgia for people like you and I who have a history with trains and train travel. I admit to a sad feeling of loss when that old station burned down. Glad you could see the picture here. Thank you. Great post, l loved the history, Jack. Have you heard of Duffy’s Cut and the deaths of Irish rail workers in the 1800’s? Thank you, Jean. No, I’ve not heard that story. Sounds sad as are many stories of Irish history. Is the story published?